I'm guessing you have other Apple products if you have decided to purchase an Apple TV. Or maybe the Apple TV is your gateway device into the Apple ecosystem. Either way, you have to setup and configure your Apple TV so you can enjoy all that it has to offer. So, let's get started! Then you simply connect the Apple TV to power. You connect the HDMI cable to the Apple TV and the other end to your television. If you are not using WiFi, then you will need to connect an ethernet cable to your Apple TV and connect the other end to your router or switch. Now, your Apple TV is setup. Let's configure it! First, you will start with the network configuration. If you are using WiFi, then you will need to know the name of your network and the password. The Apple TV will walk you through the steps to configure your network connection. If you are using an ethernet cable, your Apple TV will configure your connection automatically. Next, you will have to configure your Apple ID so you can make purchases from the iTunes Store. You also want to make sure Home Sharing is configured so you can access your iTunes content on your computer. An additional note, make sure you have the latest version of iTunes on your computer that has all your content. Then, enable Home Sharing on your computer so you can share your content with the Apple TV. Lastly, if you have subscriptions for the apps (Netflix, Hulu+, and the sports apps), you can configure them when you click on the apps. These will greatly increase your content...maybe making it possible to get rid of your cable box. If you need to make additional tweaks to your Apple TV, go to Settings. Here you can adjust your screen saver to show off your cool pictures from your iTunes library. You have multiple options for how you can display your photos. You can also make sure AirPlay is enabled so you can play video from your iPhone, iPad, or Macbook on your Apple TV. You may also mirror your device's screen if your device allows it and you are using the latest Apple TV. Under Settings, then General, you will see where you can update your Apple TV software if and when needed. Under Settings, then General, then iTunes Store, you can adjust your location, video resolution, and turn HD Previews on and off. Most people will want HD Previews on but if your internet connection is not fast enough to support it, you may want to turn off HD Previews. 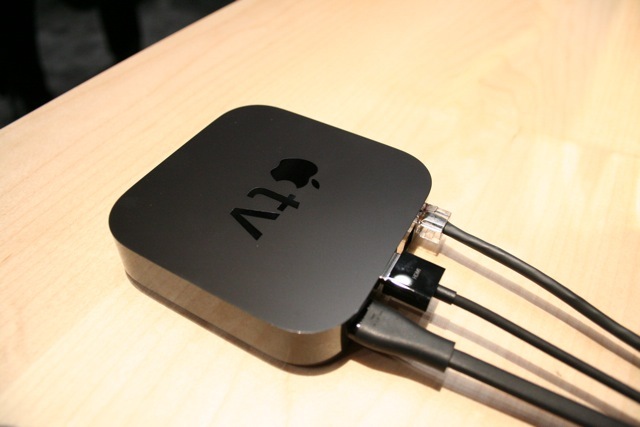 Now, you are more than prepared to navigate you Apple TV and enjoy all it offers. The best advice I can offer is to use it often and you will become familiar with it. Now, you have setup and configured your Apple TV, grab some popcorn and enjoy the show! Check out Amazon for deals on Apple TV!